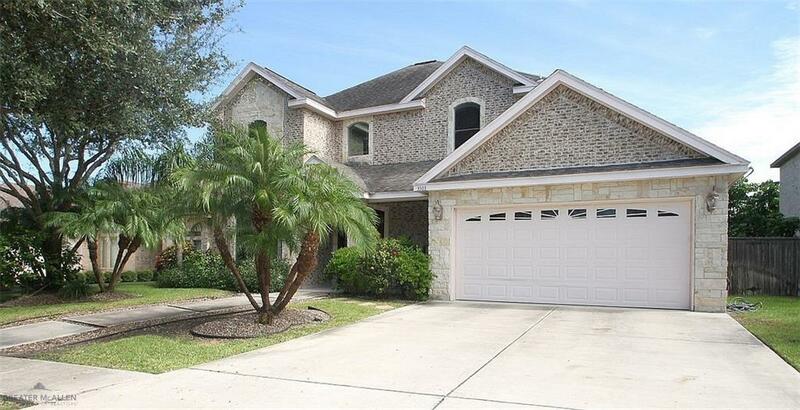 Gorgeous home with a Mediterranean interior feel located in Sevilla subdivision in esteemed Sharyland ISD. Brick and limestone exterior with attractive landscaping. Double entry doors feature beveled glass and open to an impressive 2 story foyer with elegant wrought iron railing on the stairwell and balcony overlooking living room below. Arched doorways and soaring decorative ceilings throughout. Tile flooring downstairs, hardwood flooring upstairs. Open floor concept with 4 bedrooms, 3.5 bathrooms, main bedroom downstairs, 2 dining areas, 2+ living areas, granite counter tops throughout, cabinets extend to ceiling. Laundry room has mud sink. Spacious main bath offers double vanity, jetted tub and separate shower. All bedrooms have roomy walk-in closets with built-ins. 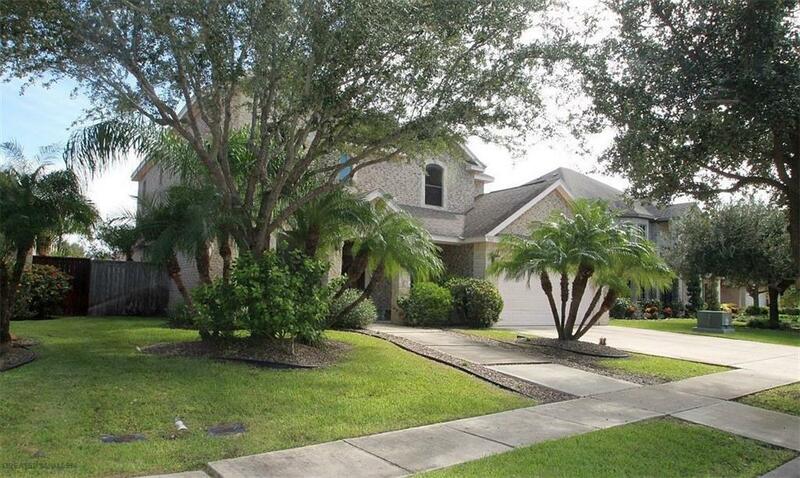 Large backyard, sprinkler system, mature trees, wood blinds, security system and wiring for speakers. Sharyland Plantation has parks, lakes, jogging trails, beautiful community pools, aqua slide and a water playground! Community Amenities Curb & Gutter Pool Privileges Property Owners' Assoc.